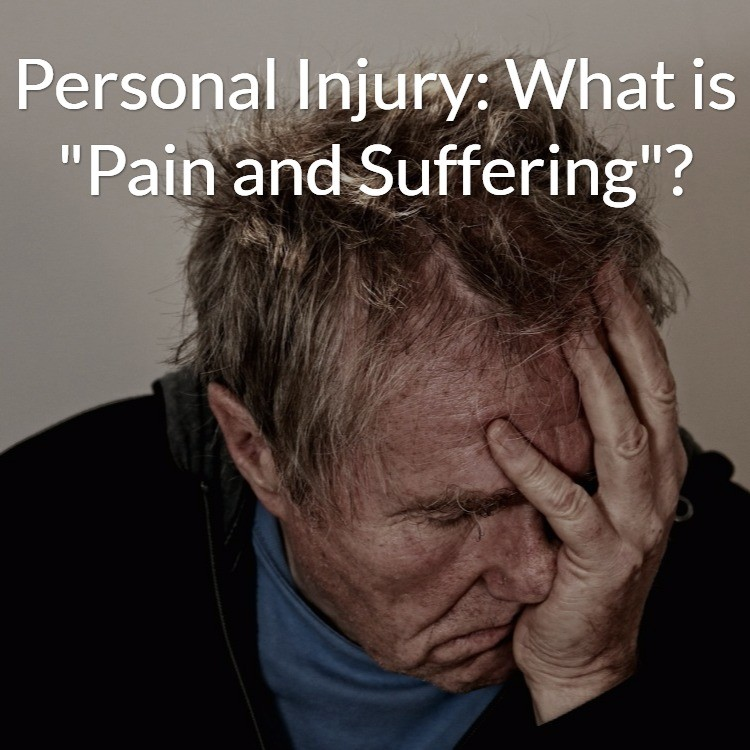 Personal Injury: What is "Pain and Suffering"? In North Carolina, “pain and suffering” is a very real and important part of your overall personal injury compensation following a car accident, slip and fall, truck accident, or other accident resulting in your injury. But many people don’t understand what it means and how it is valued. You will obviously have very tangible and quantifiable damages following a car accident that results in your injury: medical bills, lost wages, reduction in future earning capacity, and other damages that have an actual dollar value to them. While “pain and suffering” does not come with an invoice, it serves to put a dollar value on the difficulties you encountered as a direct result of the accident. What does Pain and Suffering Include? Pain and suffering includes the inconvenience of the accident and the resulting injuries, the actual pain you have suffered because of the injuries, and the impact your injuries have had on your activities of daily living (sleeping, working, hygiene, etc.). It does not include emotional distress or the loss of a loved one. It is not a catch-all for everything other than bills and lost wages. Unlike damages that have a monetary value attached, pain and suffering is valued by the trier of fact in a personal injury lawsuit – either the judge or the jury. However, when calculating pain and suffering damages prior to a lawsuit being filed, most lawyers use your actual damages (bills, lost wages, etc.) as a basis for pain and suffering damages and apply a multiplier based on the severity of your injuries. If you have only soft-tissue injuries, your multiplier would be low and if you have substantial permanent injuries, your multiplier would be much higher. Multiplying the actual damages by the multiplier gives you an estimate of total damages, including pain and suffering. It’s an inexact science, but it can be effective for settlement purposes. Contact us today if you’d like to discuss your options following a car accident, slip and fall, truck accident, or other accident resulting in your injury. We can help to get you the compensation you deserve. No matter the case, StephensonLaw is dedicated to providing you with the appropriate counsel and representation needed to protect your rights and assets. Don't hesitate, reach out to us today to begin your consultation.